Haram (Movie Review): Love, loss, happiness, pain, loneliness and death intertwined. Haram is a story about falling in love… I mean ‘FALLING’. The characters goes through all emotions like challenges, happiness, depression, frustration, happiness, anger and love. Sometimes, it’s difficult to summarize our thoughts about a specific film. It isn’t because the film is necessarily so good or bad that it’s beyond words, but because you’re unsure how to feel about the film until the credits finally roll. Haram is such a film. Haram is not a great movie but is definitely a movie which deserves respect for its out of the box script and the treatment, and for the terrific performances of the lead actors. With the sympathetic main four characters, this bittersweet story works well most of the time. 1. ‘Irreconcilable differences’ – like the main character, we also learn this new phrase. It evokes enough emotions inside us whenever this phrase is used. 2. Few dialogues are memorable. 3. The casting – Main leads look very familiar, like the ‘people next door’. It works well. 4. Cinematography – frames are very impressive right from the very beginning. 5. The non-linear treatment and few characters give feeling of Spanish movies and different from the usual Malayalam. With absolute zero doubt, Fahad Fazil is one of our best contemporary actors. Here he exemplifies the intense reality of the character flawlessly. Fahad Fazil’s haunting performance is the beauty of Haram. 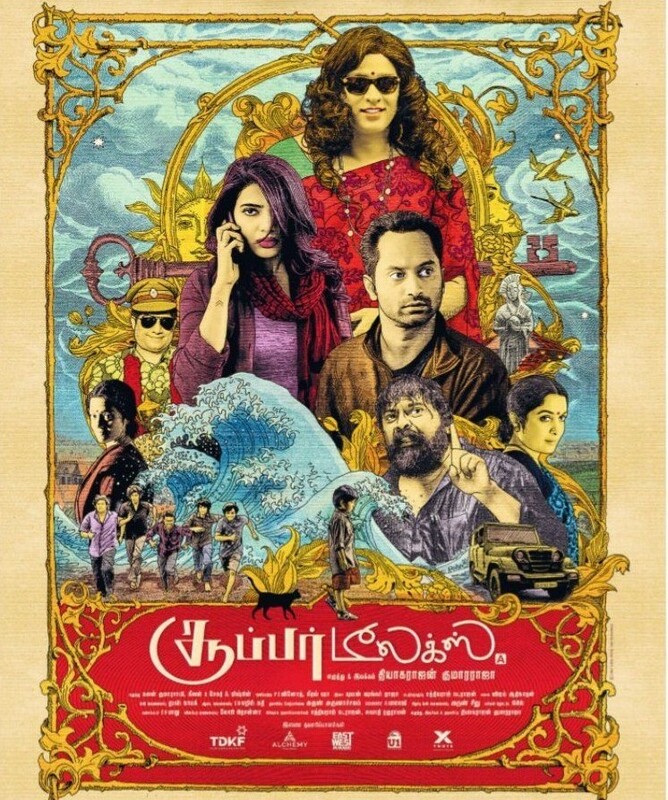 It is good to see Fahad Fazil doing different kinda movies like Artist, Friday, Haram, Annayum Rasoolum etc… Radhika Apte is beautiful and talented. She gives the very feeling of a techie girl. She is very clearly not well in the beginning of the film, and as the film progresses, she impresses and hits downright in many scenes and proves her worth. She grabs our attention with her beauty and expressive eyes. Supporting casts too supports well. Special mentions to Sagarika and Rajsree Deshpande. Haram is not another ‘Niram’ or ‘Thattathin Marayathu’. It tries to be away from fantasy and close to realism. It tries to be different from the usual and it never tries to entertain. Anyway, these are not weaknesses but these are the strengths of the movie. Like it’s protagonist, ‘Haram’ is not perfect. The weakness is that the film is bit long or bit slow. The weakness is that it tries too hard. The weakness is that the script give too less space for the audience to know the character. Script doesn’t allow audience to feel sympathetic to Balu nor Isha. Haram is away from flawless, but it is effective in presenting the kind of story of sensitivity to tell believably. There is a always a box for those who pops out of the usual box, and the box is called as ‘respect’. The respect is for the attempt. With Fahad Fazil on the line, Vinod Sukumaran could have given a usual stick but he did not, instead he tries something different. The respect is for not being in the usual box.